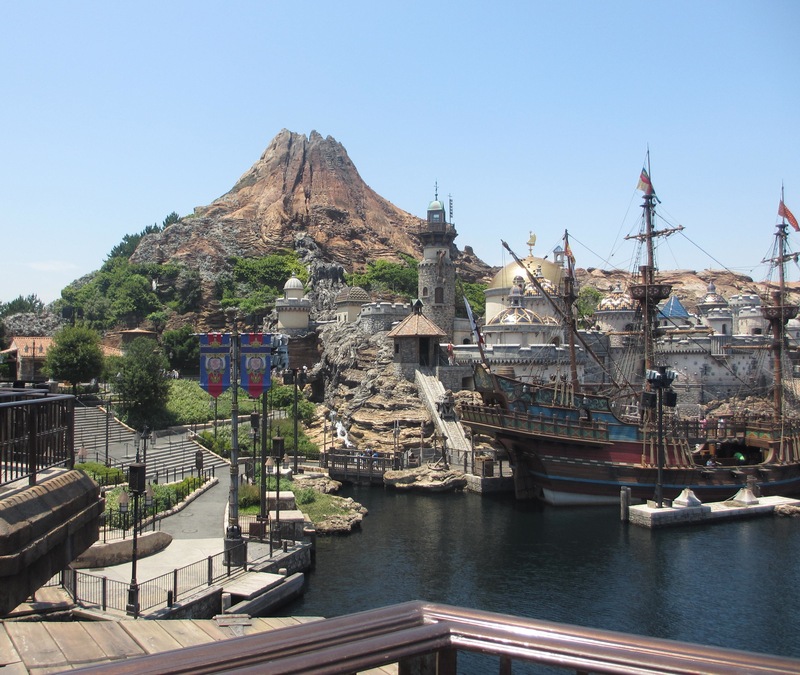 Most people have heard of Disneyland, but did you know that there is a DisneySea out there? I love Disney and I am a huge Disney fan, but I actually didn’t know about a DisneySea until I was planning my trip to Japan. Not surprisingly, Disneyland made it to the shortlist of places I want to visit in Japan “as time allows”. As I looked for more information about the park, that’s when I learned there is another theme park called DisneySea. This piqued my interest immediately. I’ve been to a few Disneylands; DisneySea is something different! Interestingly, it turns out that DisneySea is owned by a company that licenses Disney characters and themes. 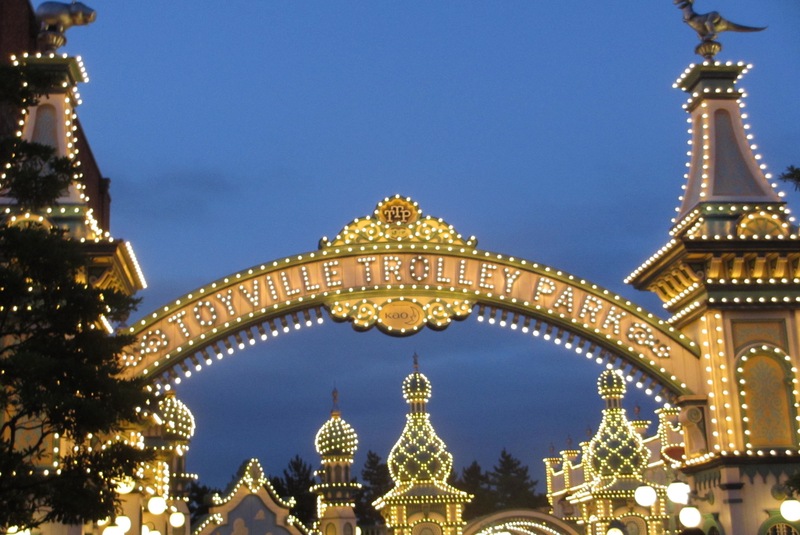 The theme of the park is built around the concept of “ports of calls”. Since we ended up with extra time on our last day in Japan, we decided to explore DisneySea! Since DisneySea wasn’t a definitive stop on our original itinerary, we didn’t book a hotel in the Tokyo Bay area. Otherwise, I would book a stay either at the Sheraton Grande Tokyo Bay Hotel, or the Hilton Tokyo Bay. I like both these hotels due to their proximity to the monorail and to the parks. For those people who’d prefer to stay at a DisneySea hotel, there is the option of the Tokyo Disneysea Hotel MiraCosta. However, be prepared to pay a premium for the rooms. Fortunately, Japan has a very convenient subway system and we had the Japan Rail (JR) pass, so it wasn’t too hard to get to Disney from our hotel at Hilton Tokyo in Shinjuku. Signage at the train station! We hopped on the hotel shuttle that takes us to the Shinjuku station. From there, we took a JR train and made one transfer which took us to the Maihama station in about 45 minutes. Once we got out of the station, we walked over to the Disney monorail area to buy tickets for the monorail. Disney also makes it easy to find out how to get there. Although most people want to maximize their day by getting to the park early, we planned it a little differently. It was our last full day in Japan. Knowing that we will be staying at the Disney all day, we want to make sure we got adequate rest and took our time to eat a hearty breakfast at the hotel. It was already mid morning (11-ish) when we got to the park. We got an unintended benefit by getting there late: there was no line at the ticket windows! Do you know what an amazingly rare sight that is in Japan? We purchased our tickets, went through security, and ventured into the park for our adventures. Of course, once we got in, the first thing we did was …wait. There are lines for everything, everywhere, so be prepared to wait. My advice: Bring an umbrella, wear sunscreen, and drink lots of liquid. Some people also plan ahead to figure out how to reduce the wait time on some of the more popular rides. I didn’t do my homework; I figured it would just be like any Disney parks. Since we only got into the park at late morning, I figured we would only have time for one FastPass ride. We decided to go for Journey to the Center of the Earth ride at the Mysterious Island. After picking up the FastPass tickets, we walked in further and saw the wait time was only 45 minutes. 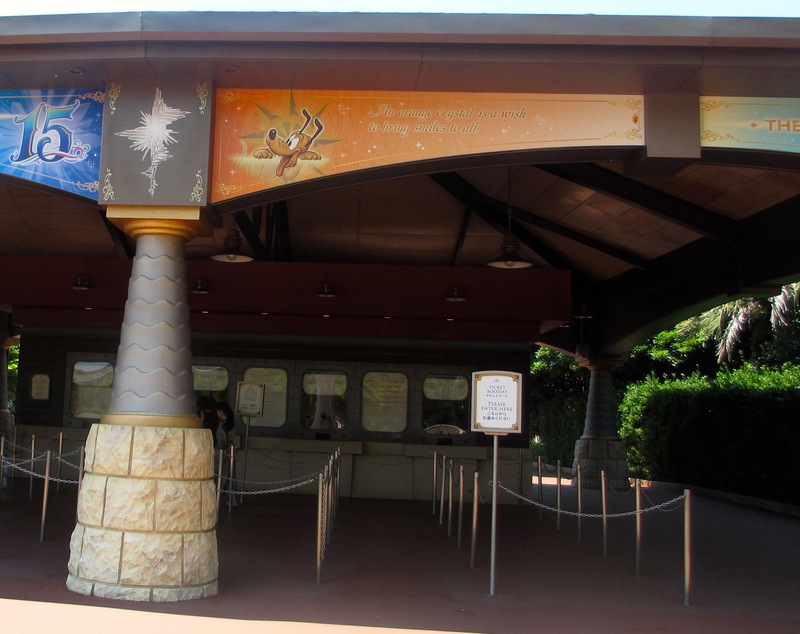 This is generally considered a “good” wait time for a popular ride. Given the humidity, we decided it was a good timing to wait for the ride under the “cool” volcano. In hindsight, we should have use the FastPass on Toy Story Mania. The wait for that ride is simply unreal. After waiting near 20-25 minutes, we were still standing not too far from where we started. We decided to cut our losses. We projected that if the line kept at its pace, we may not get on it for at least 2 hours – time that could be spent walking around the park, taking pictures with a Disney character (30-45 min wait), or going on some other rides. A few of us ended up going on the Tower of Terror right next to the Toy Story Mania. The Tower of Terror is also a popular ride, but at least the line moved. My advice: Grab the FastPass for the Toy Story Mania. The Journey to the Center of the Earth” is a very immensely popular ride at DisneySea, which is under the iconic volcano. People often talked about the “surprise” ending. Personally, I thought the ride was too short and over-hyped, though I was surprised by the ending too. Warning: Spoilers below. The ride starts off slow but at the end, the ride picks up speed and does a drop. I’m not bothered by the drop, which is relatively tame by most rollercoaster standards. Most thrill rides come with warnings to those who may have heart conditions to avoid it. Maybe I missed it, but I thought it was a “slow” family friendly ride. Everyone in my family went on it, including my Mom. She’d normally sit out a ride if it’s high speed or has drops. I gave her no warnings since I had no reason to expect otherwise. Let’s just say with the surprise drop at the end, we were all surprised, indeed. My mom came out of the ride pale-faced and looking unwell. We got her to sit down on a bench to relax and drink water, and I was immensely relieved when some colors gradually returned to her face. It was my fault for not having done my due diligence, so this is a public service announcement: Those of you who have heart conditions or who prefer not to go on rides that has a “drop” — this ride may not be for you. Other guests dressed in kimonos! If your only hesitation in visiting DisneySea is that you worry about communication, don’t. I am happy to report that communication is a non-issue at Disney even if you don’t speak Japanese. The signage around the park is clear and Disney members can understand English. Personally, one of the things I find most amazing about Disney parks had always been their ability to transport guests to the imaginative and immersive world they created. 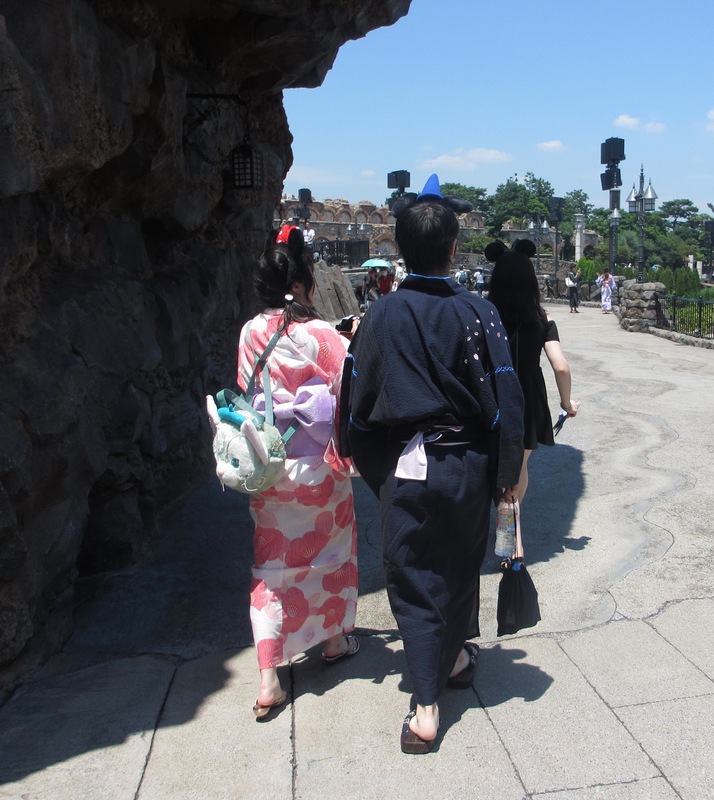 At DisneySea, there had been moments when I actually forgot that I was in Japan. I was only reminded when I see occasional guests walking around in Kimonos, or conversing in Japanese. 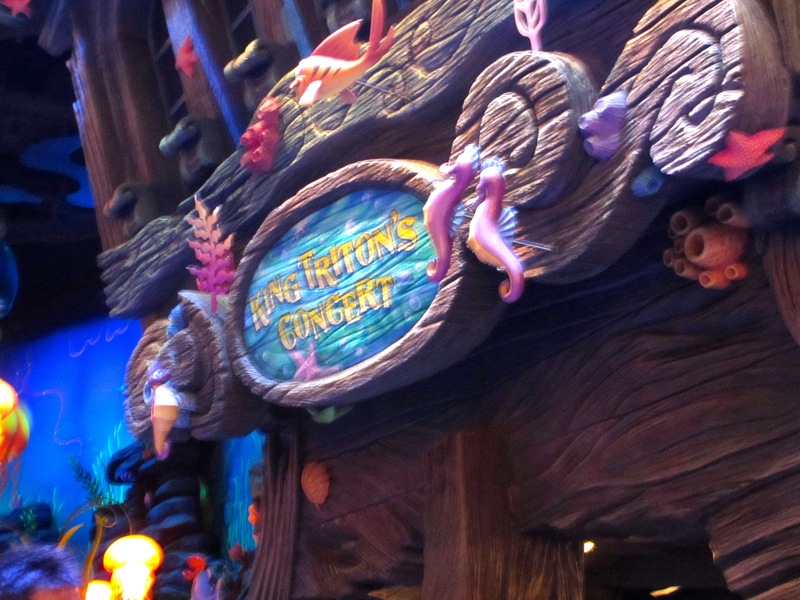 King Triton’s Concert – Beautiful Production! We always try to check out a show at Disney Parks, and DisneySea is not exception. We watched the production of Disney’s The Little Mermaid, King Triton’s Concert. The run time is about 14 minutes, and the quality of the production is spectacularly enjoyable. The language is in Japanese, but you can still follow if you are familiar with the story. The short production is of Broadway caliber, and it’s a must-see. Note: No recording or photography allowed in the arena. 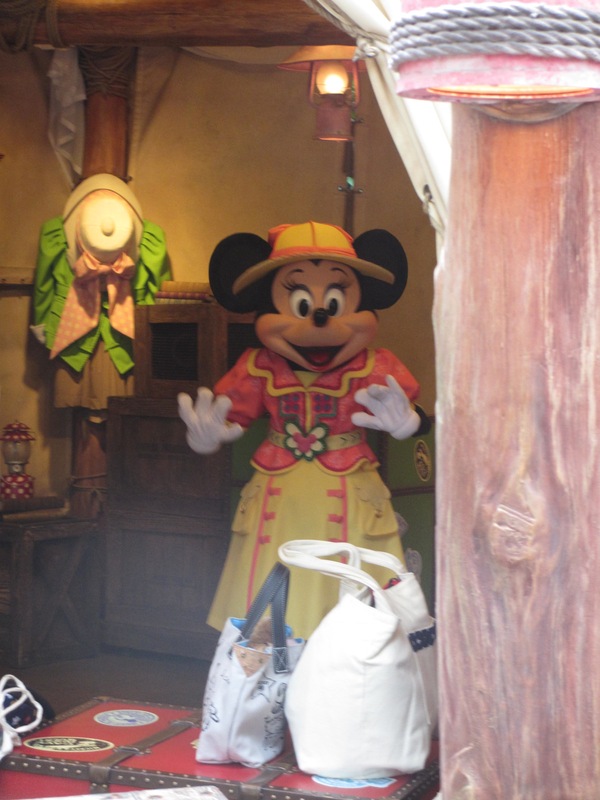 Like most Disney parks, there are also photo opportunities with Disney characters at DisneySea. The wait time ranged from 25 minutes to 45 minutes during our visit depending on the character you want to meet. We didn’t come to an unanimous decision (everyone wants different characters!) but we ended up waiting in line to meet Minnie Mouse. A staff is there to help you take one one picture for you on your camera, and they take a professional picture on theirs. The quality really shows — we ended up buying their picture as a memento because the picture came out great. The photo opportunity was worth the wait; half the fun was watching the character interact with other guests while we waited. I nearly made the mistake of dismissing DisneySea Tokyo because I thought it’d be just like the Disneyland parks. In many ways, it is like the other Disney parks. It still has the Disney feel everywhere: the creativity in the shows, the park’s impressive and detailed theming, and the welcoming Disney staff service. Yet DisneySea is different too. 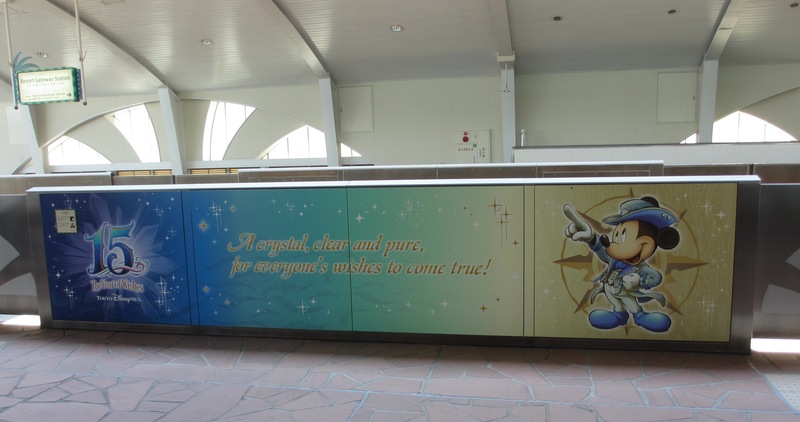 There is no Disney castle nor the focus on Disney princes and princesses, which are at the heart of Disneyland parks. While both kids and adults will all enjoy DisneySea, DisneySea is also decidedly catered more towards adults. It worked out beautifully for us, and we had all-day of fun. It was an incredibly memorable way to end our last day in Japan, with fireworks and all. If you are a Disney fan and DisneySea hadn’t been on your radar, it should be. DisneySea ended up being one of the highlights of our trip. If you have some extra time on your hands when you are in Japan, check out if the DisneySea is for you! ← Crash Course in Negotiation: How Well Can You Do It?